1. In a medium bowl, whisk the egg and add Nutella, mixing until well combined. 2. Add the flour and stir until the mixture comes together and there is no visible flour or egg streaks (I find using my hands easiest for this step). Add the white chocolate if using. 3. Form into 12 balls, cover and place in the fridge for at least 1 hour (or best overnight) – this helps intensify the flavours and prevents the cookies from spreading when baked). 4. When ready to bake, preheat oven to 175C (350F) and line a baking tray with baking paper. Place cold cookie dough balls on the baking tray and press them with a fork slightly. Bake for exactly 15 minutes*. 5. Leave to cool slightly on the tray for 10 minutes before transferring onto a wire rack. * You can omit the chocolate if preferred or use chopped nuts or dried fruit instead. I was in the supermarket about to put some peanut butter into my shopping basket when I saw a giant jar of Nutella staring at me. Sold! Without any convincing, I put it into my basket and began planning a way I could use it (other than eating it straight from the jar of course). 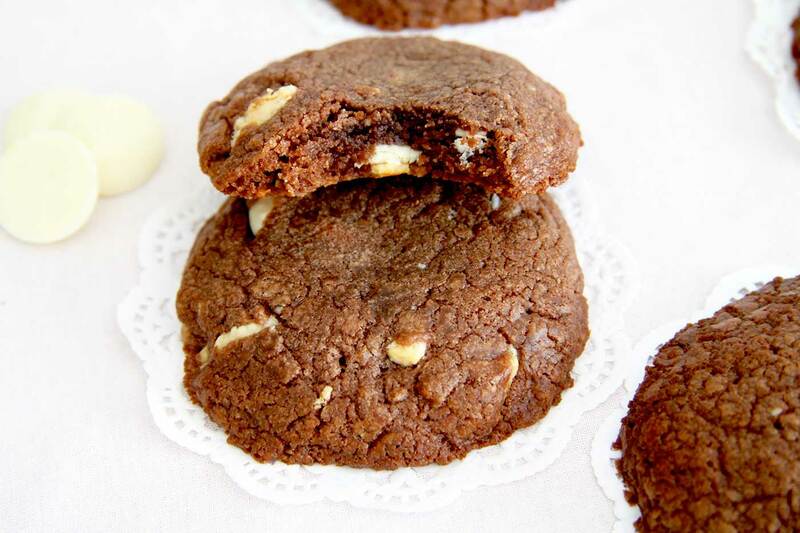 What I came up with was a this recipe for easy 4 ingredient Nutella and White Chocolate Cookies. I think you’re going to like them – a lot. Eating them is like stepping into a Nutella heaven – a creamy, chocolate, bursting with flavour, Nutella heaven. I’m not even exaggerating. Not only do they just have 4 simple ingredients, they are so quick and easy to prepare that a-n-y-o-n-e could make them. 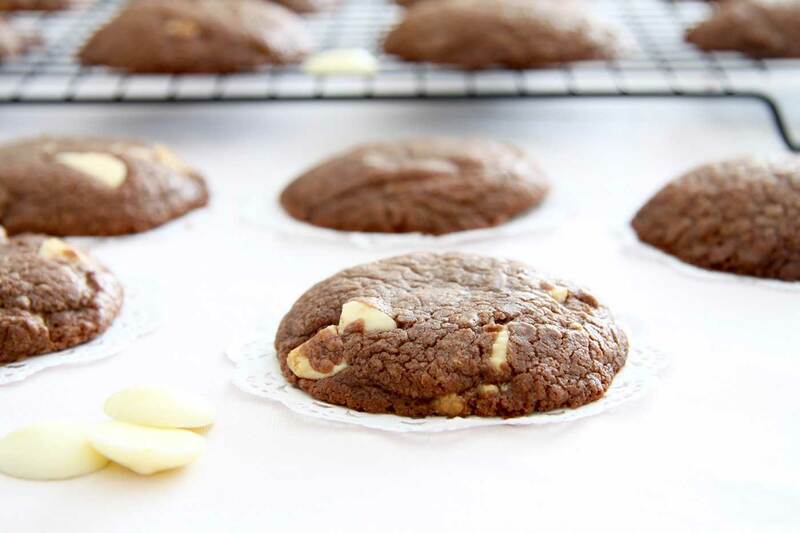 So if you’ve been looking for a delicious, nutty-chocolately cookie recipe that takes no time at all to make and has only a few ingredients, then this is it. I’ve never quite appreciated the magic of Nutella before now. I mean I’ve always been a huge fan of the stuff, but I never realised how many boxes it ticks when it comes to baking. For example, one of the reasons these cookies have so few ingredients in them is because the Nutella works as so many. 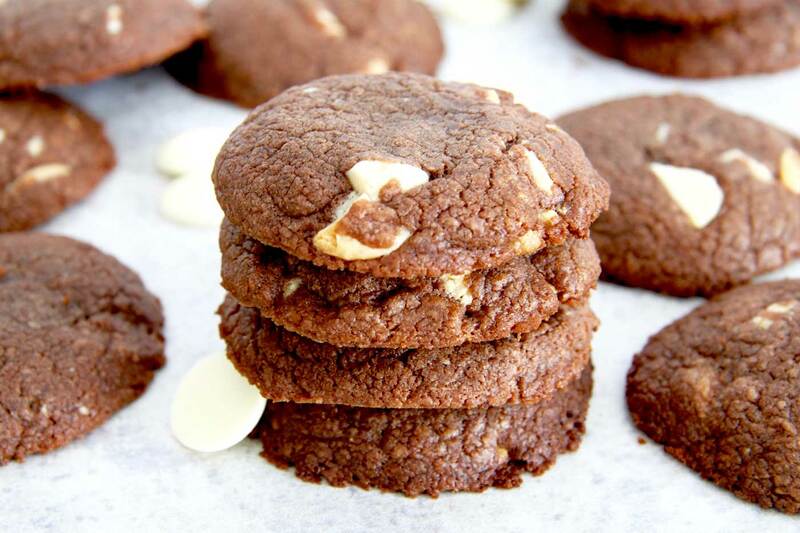 In this recipe it acts as the fat and sugar source as well as contributing towards the cookies fudginess, chewiness and overall texture. That’s quite the ingredient in my mind. So all that is needed to make these cookies is: 1 cup Nutella, 1 egg, 125g (1 cup) flour and a handful of white chocolate (optional). 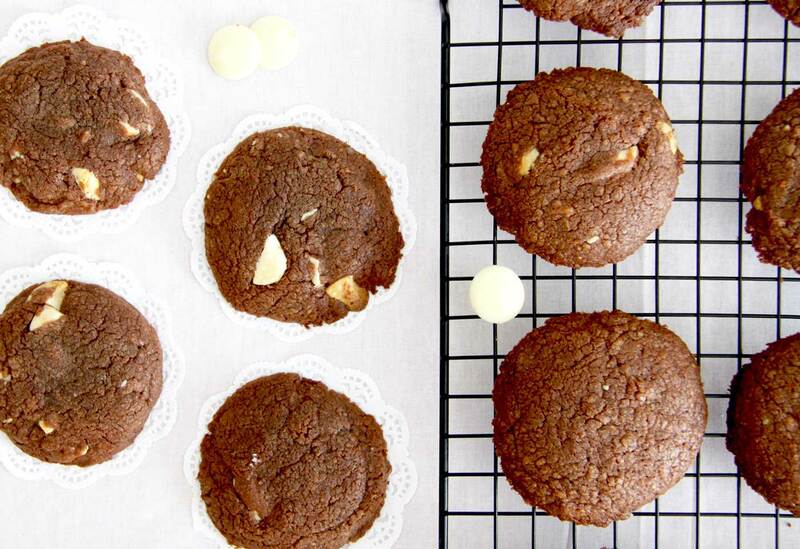 What is produced with these ingredients are magical, fudgy and Nutella-rich tasting cookies. So what are you waiting for? 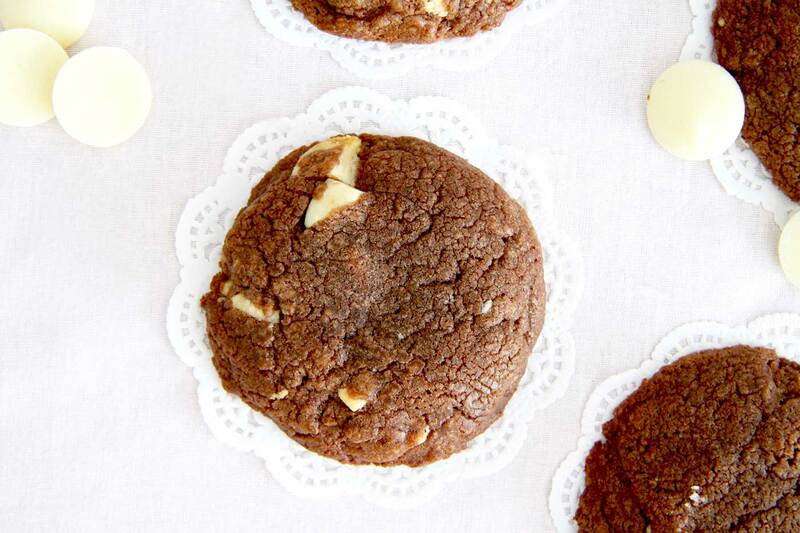 Go get yourself some Nutella and make these cookies so you can join me in Nutella heaven.